The majestic fountains at the bottom of the Burj Khalifa are a sight to behold. With jets shooting 150 meters upwards, they're said to be visible from over 20 miles away, but we've picked out the best viewing points for you that are a little closer. Get in a little retail therapy here, but also see great views of the fountain show! Have dinner at one of its restaurants facing the Burj Khalifa while admiring the view. Are you a bookworm? If the answer is yes, browsing this Japanese bookshop (other languages also available) with the fountain show in the background may be your idea of perfection. If you'd like to get up close on the action, this is a great spot as it's right on the Dubai Lake. Disembark from the abra here, buy your ticket, and enjoy! By day, go shopping in Dubai's premier malls. By night, join the crowds on the bridge and marvel at the illuminated water and buildings adorning the city. See the show while you float! 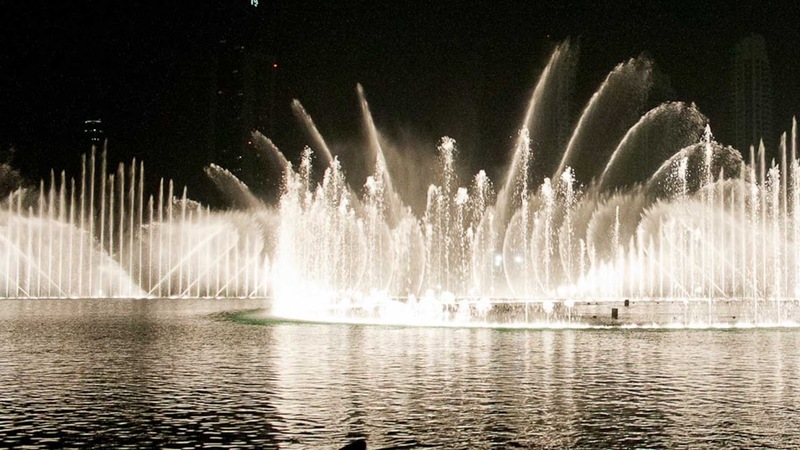 From 5:45PM to 11:30PM (last abra departing at 11:00PM) you'll see the fountains themselves at the Dubai Creek, but also the patterns the lights make on the water! It's a spectacular sight all year round! The afternoon shows are at 1:00PM and 1:30PM, except on Fridays, when it's 1:30PM and 2:00PM. In the evenings, the shows occur every 30 minutes, between the hours of 6:00PM and 11:00PM. 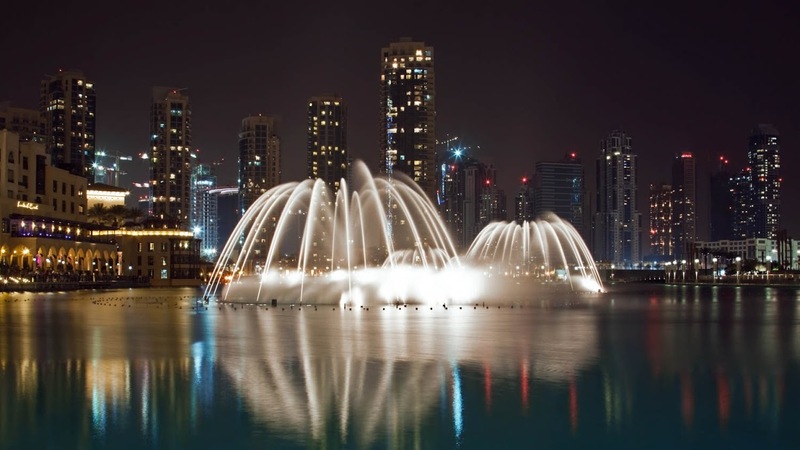 Fountain lake rides in the evening are 65 AED per person. 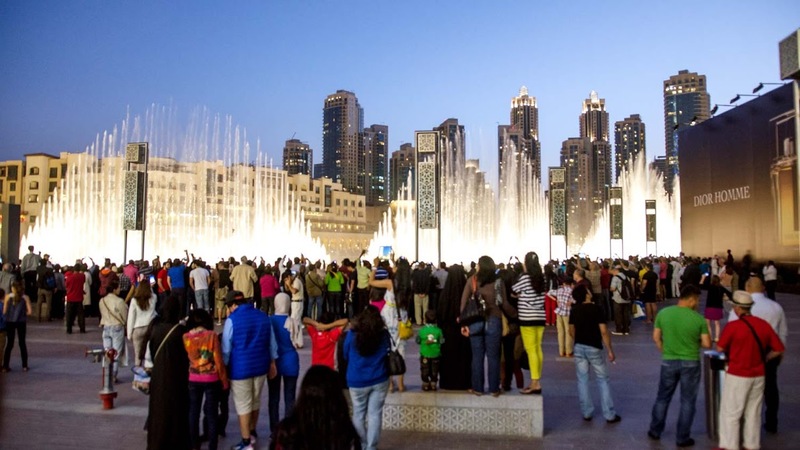 You can get good value for money by including the fountain viewing as part of a larger Dubai tour. Afternoon: 1:00PM and 1:30PM, except Fridays, 1:30PM and 2:00PM. Evening: 6:00PM to 11:00PM every 30 minutes. Free to see from various locations, but lake rides in the evening are 65 AED. A guide is not necessary for the Dubai Fountains. 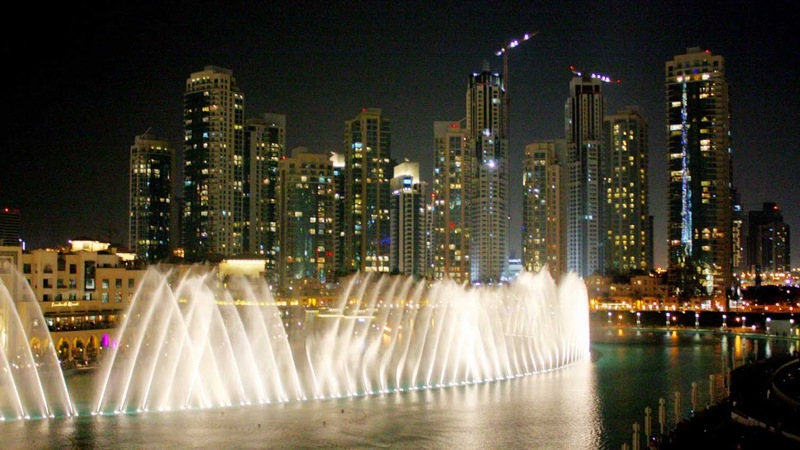 The fountains are in Burj Khalifa Lake, right outside The Dubai Mall on Lower Ground Waterfront Promenade in the heart of Downtown Dubai.